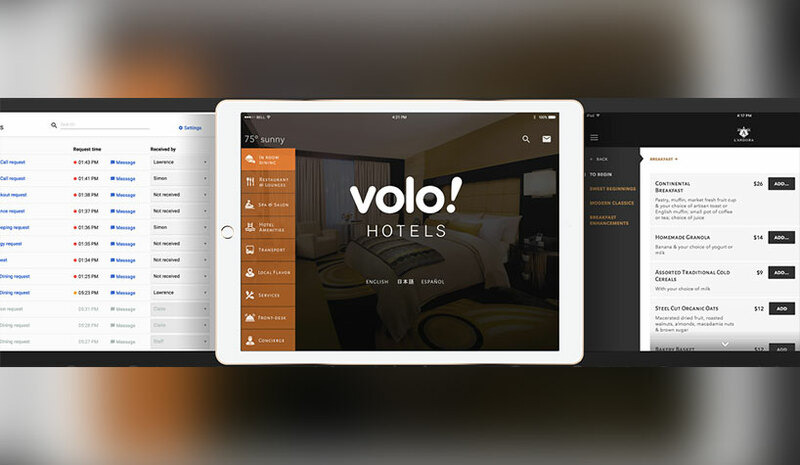 Volo Hospitality brings in-room tablets to select boutique hotels. Volo Hospitality is offering its in-room tablets to select boutique hotels in North America, at no cost. Partnering with Apple to supply brand new iPads, the service is available to only a few select, brand-focused boutiques in major North American markets—first takers receive the free service. “Small boutique hotels are an underserved market for guest-facing technologies,” said Benjamin Londa, director of product development. Londa disagrees with the notion that guest-facing technology can de-personalize the guest experience. 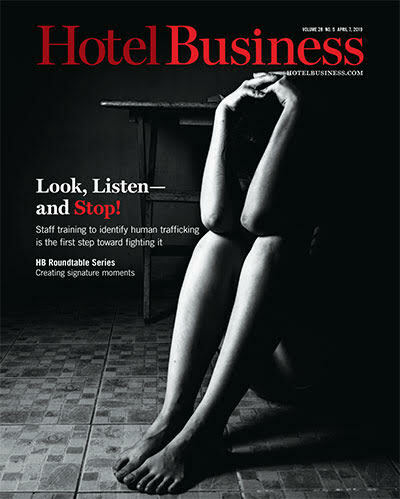 “To the contrary, our tablets give smaller hotels the benefits of having a concierge by with recommendations of local restaurants and attractions and a way to visually connect guests with key staff members,” he said. SaaS company, Revinate has partnered with revenue strategy platform, Duetto to enhance the power of its guest marketing solution. Now, joint customers will be able to use Duetto’s platform and its open pricing application, GameChanger, to price upsells and upgrades driven through Revinate Marketing. The real-time pricing solution will enable personalized offers to maximize conversion and revenue. AAHOA will begin offering its nearly 18,000 members its own AAHOA Property Management System (PMS), powered by AutoClerk, a PMS technology pioneer. AAHOA and AutoClerk are partnering to deliver a pure cloud PMS solution that can serve both independent and franchise hotels. Expedia Group has revealed the global availability of Guest Insights, a new solutions-driven insights tool for hotels. As part of the Expedia Group’s Partner Central suite of offerings, Guest Insights leverages current property, competitive and market intelligence to inform properties of their guest’s travel motivations and booking behavior, allowing Partners to identify opportunities to reach and convert travelers in a strategic way. From guest origin information to average daily rate (ADR) to average booking window, Guest Insights provides hotels with access to key data across time and markets. Insights available to hoteliers include visibility into where customers are coming from, average length of stay, average cancellation rate and other information and insights to maximize their distribution in the Expedia Group lodging marketplace. The business intelligence tool also allows lodging partners to filter the data by country or region, and through an integrated recommendation engine, hoteliers receive custom, targeted suggestions related to marketing strategies based on the data provided in their analytics report. Hotel management software, Quore, will be migrating its SaaS application to Amazon Web Services (AWS), an Amazon subsidiary that provides cloud computing platforms. The adoption and implementation of this platform enables Quore to more easily scale its infrastructure and services to meet the needs of a growing national and international customer base. Through automated reports, personalized dashboards and real-time data, Quore’s cloud-based platform allows hotel staff to manage all aspects of their jobs through one place on any device. The solution is the first of its kind to combine technology and intuitive design to allow hotels of any size to oversee the moving parts behind a guest’s hotel experience. New landing page: Access tools from Airbnb (e.g., listing management, pricing and availability, marketing), as well as a direct connection to list on Airbnb, connect with its software, etc. New blog: Content tailored to professional, with a focus on product updates, host spotlights, company news, case studies and insights for hosts looking to grow their businesses on Airbnb. Preferred Software Partner program: A new classification for its software partners. Its Preferred Software Partners are those that support the full suite of Airbnb functionality and have met or exceeded all of its technical performance benchmarks. For partners: A new program that highlights partners that meet technical and business performance requirements, and provides them with access to an exclusive suite of benefits.